Toyota C-HR Debuts at the LA Auto Show: Hello, High-Rider! Not really a sedan type of girl? You’re not alone. 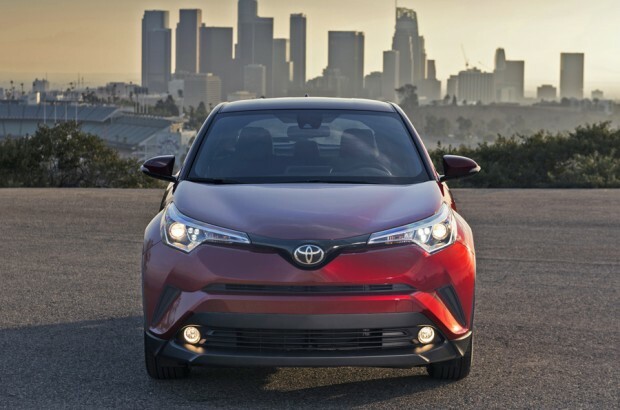 In the auto world, just as in the real world, traditional models have become more fluid, giving us new and interesting options for our lifestyle—like the 2018 Toyota C-HR. Say what you want about LA, but one thing is for sure—it’s a town that loves a big, attention-grabbing premiere. 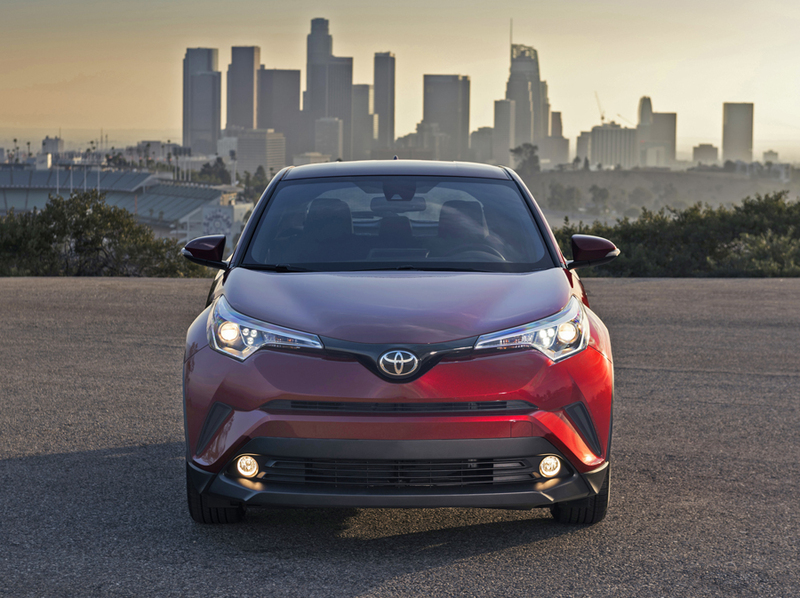 Stealing the spotlight at this year’s 2017 LA Auto Show is next year’s hot young thing: the all-new 2018 Toyota C-HR, a sleek new crossover. As we march toward the next decade, we are more determined than ever to shed traditional, check-the-box types ways to identify ourselves. Everything seems to be a little more fluid. Bathrooms are becoming gender neutral. Gorgeous ethnically ambiguous actors and models are featured in almost every commercial and TV show. Crossfit has replaced the traditional gym for workouts. And after Crossfit, we stand in line for cronuts–because sometimes just a donut, or just a croissant, will not do. The auto world is starting to take notice. There was a time, not long ago, when you had to check your box, automotively speaking. You were either a car, or a truck. If you were a car, you were a sedan or a sports car, and that was that. If you were a truck, you were a pickup or an SUV. End of discussion, young lady. Unless you were a minivan. And no one wanted to be a minivan. One thing the LA Auto Show made clear: 2017 is the year of the crossover — that automobile you see everywhere that isn’t a traditional car, but isn’t quite a truck, either. It takes the easy drivability and passenger feel of a car, and adds the height, shape, safety, and ample cargo area that we love so much in an SUV. In theory, this sounds great. And practically every automaker out there has shown us their version of what this hybridized ride of the future looks like, from their perspective. Some are beautiful baby versions of bigger models, like the Porche Macan, and some are big, beefy versions of smaller models, like the Mini Countryman. Others are kind of round and bubble-ish like the Nissan Juke, while some embrace a boxier, angular look, like the Kia Soul. And, Nissan even introduced a Star Wars themed one, the Nissan Rogue One, because … well, Star Wars. But what’s been missing from this market is something that’s truly special. Designed from the ground up with a beautiful and unique design all its own. Not a scaled up version of a car or scaled down version of an SUV. With all of the amazing modern tech that everyone wants and the safety features everyone needs. Oh, and one more key thing: can we please put the price at an affordable point, so that mere mortals can actually have a shot at getting one? With the unveiling of the 2018 Toyota C-HR, Toyota looks to have truly hit the sweet spot. Go ahead and drop the mic and walk off the stage! The C-HR stands for Coupe, High Rider, and it does indeed live up to that name. First of all, it’s really gorgeous. It has the youthful feel of a Scion, which is in its design DNA. It has a sinewy look, with with lines and angles that seem to be inspired more by a jeweler’s tools than a box cutter. It’s different and inventive without being, well, weird-looking! The colors we’ve seen so far are a juicy, bright red metallic and a sleek, glittery silver. Both look great, and other color options are on the way. Some of the cool electronic and safety stuff that is standard in all models is a pre-collision system with pedestrian detection, forward collision warning, automatic emergency braking, lane departure alert, a cruise control that will adjust its own speed, hill start assist, rear backup camera, and a whopping 10 airbags. The 2018 Toyota C-HR won’t be available until the spring, and we won’t be able to bring you any real-life accounts of how it drives until then. But we do know that the driving performance was developed on an iconic and curvaceous (kind of like us!) racetrack, the Nürburgring Nordschleife, so we are expecting good things. Sign up for the VroomGirls Newsletter! Copyright © 2019 VroomGirls. All Rights Reserved.